HPB Presents: Monochromatic | Light Your Nails! 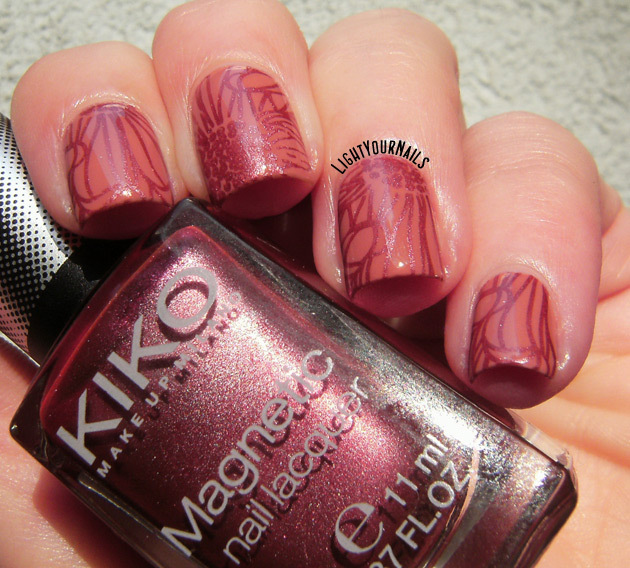 I love monochromatic stamping and this one is very pretty. I love this Sans contrefaçon, so beautiful ! 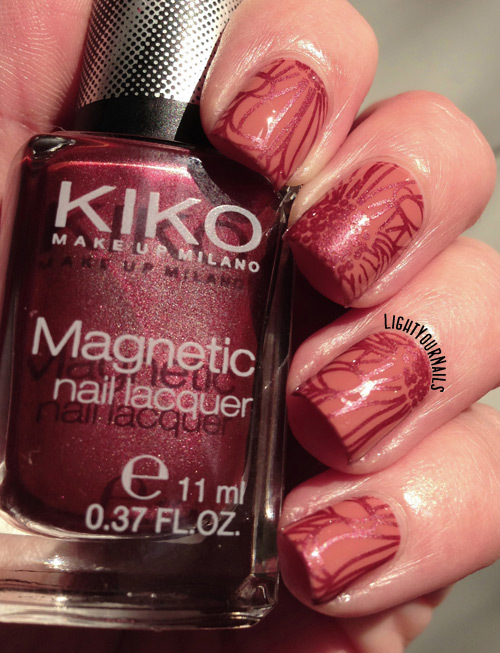 I have a nail polish which really looks like this Kiko, and it's such a pretty color ! Thank you! 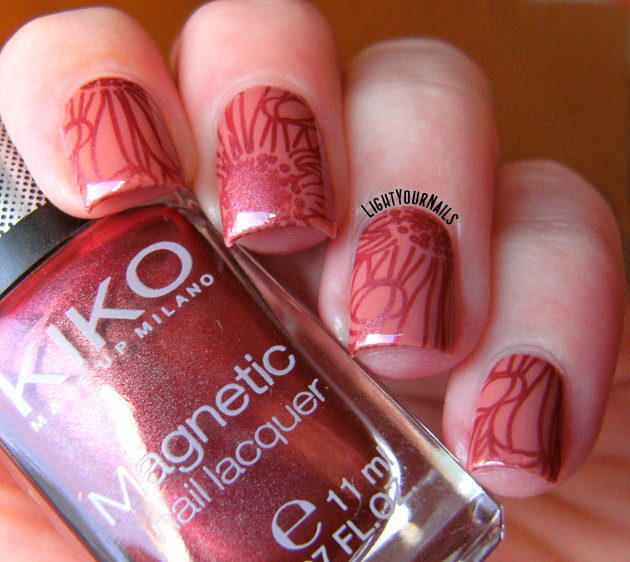 I have no Kiko's similar to it! Lovely - keep it up! Beautiful work, your stamping is flawless! Gorgeous! Not normally colours I would reach for but you make me want them now! This turned out so fantastic! A great take on monochromatic! this is wonderful. I wish I had gone colorful with my monochrome. Tone-on-tone stamping can be so beautiful, and you definitely picked a gorgeous match! Wow, this is gorgeous!! I never would have thought to use this color scheme! I really love that stamp you chose. The colors are fantastic too. Wonderful! I love those two colors together for stamping! Very pretty, Those shades work well together. These colors are GORGEOUS together!!! I love monochromatic manis too, but they can be kinda tricky to get right. You definitely nailed it, very beautiful color too!